Liverpool is in the Merseyside area of the UK and they are keen gardeners in this part of the country. Probably the best known garden centre in the Liverpool area is Lady Green Garden Centre with its award winning layout of plants. But there is a huge variety of garden centres and nurseries in Liverpool both large and small. Our reviews are carefully researched many with pictures and often a video showing the plants. Aigburth Hall Nurseries have traded from 1944 and was run by the same family for 60 years. Two years ago the current owners bought the business and they are in the process of slowly expanding .... click here for the full article. Buckels Garden Centre and nursery have been growing plants on the same site for over 100 years. 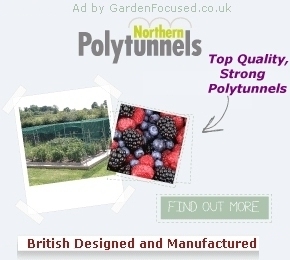 They supply bedding plants to the horticultural trade and local authorities. At the same time they .... click here for the full article. 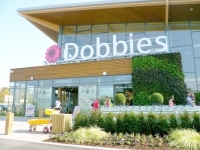 Dobbies in Liverpool first opened in September 2011 on an 8.78 acre site near Liverpool John Lennon airport. Lots of effort has been put into making the building environmentally friendly including .... click here for the full article. They stock a wide range of healthy looking plants with a five year hardy plants guarantee. The plant display area is well designed and a pleasure to shop in. The paths are wide and there .... click here for the full article. Hartleys Nurseries was originally a small holding first owned by the Hartley family in the 1860's. The current owners have been in charge for the last 20 years and during this period the business has undergone .... click here for the full article. The designers of the the outside plants area should be highly commended for creating a huge space which not only houses a massive selection of plants but also provides a very unusual and attractive setting for .... click here for the full article. Lydiate Barn Nurseries began life many years ago but in 2006 was abandoned by the owners. Over five years the greenhouses fell into disrepair and were beginning to be overtaken by weeds and .... click here for the full article. Rushton's Nurseries and Garden Centre began life over 60 years ago and 40 years ago moved to its current location. This is a true family run business with none of the trappings (cafe excluded) of a modern .... click here for the full article. Sefton Meadows Garden Centre was acquired by Mike Withers (also owner of Trebaron Garden Centre) in November 2007. At the time it was thought the garden centre would change names but in .... click here for the full article. Whitakers Garden Centre are owned by the diy chain Beesley and Fildes and this is the reason that you will find a reasonably large diy section in this garden centre. The garden centre is set in 22.5 acres of .... click here for the full article.